EKOLO is acting like an acrobat while playing with an old sock. His energy and balance impress me! 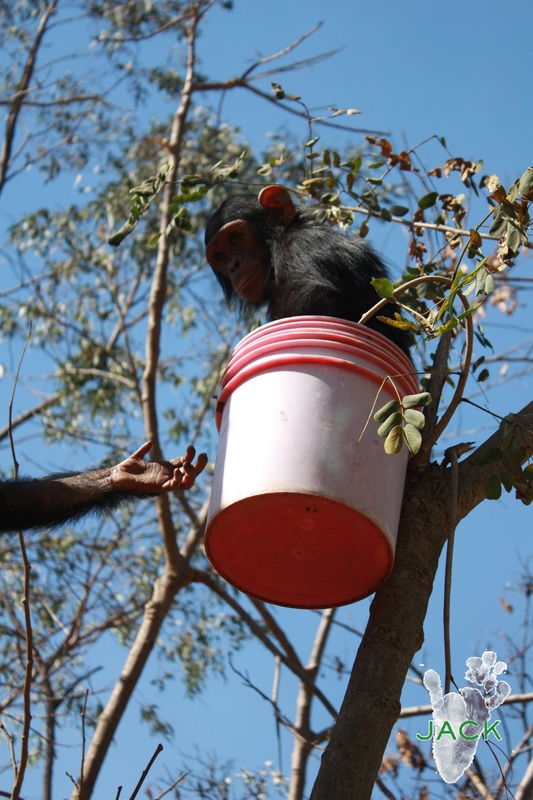 Stealing the keepers’ bucket has always been fun and provided our young residents with great enrichment! Sitting high up in the trees, they had a better vieuw of what was going on at the sanctury! Mare-Lo is a friend of J.A.C.K. living in Lubumbashi. 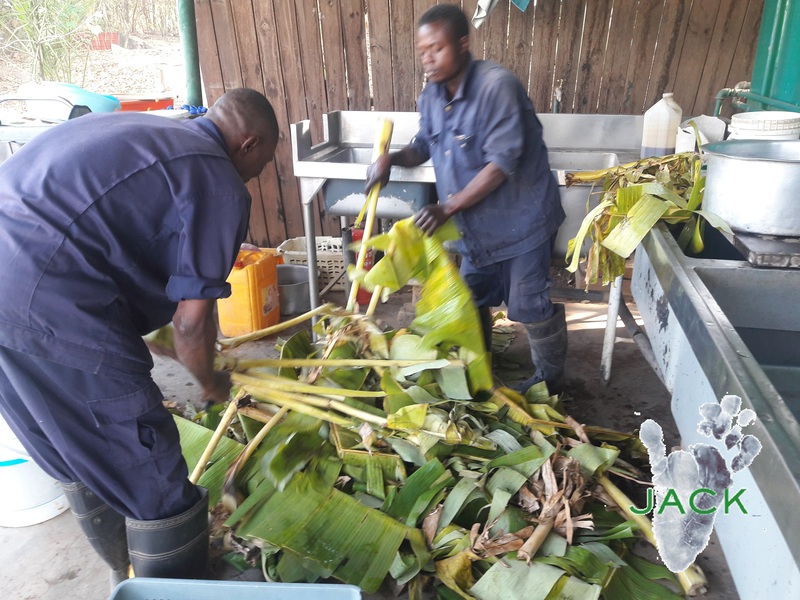 Thanks to her, our residents were spoilt the other day as 132kg of banana leaves & trunks were offered and used as enrichment treats! All our fury friends were really delighted!! Thank you again so much, Mare-Lo, for caring about THEM! Temperatures are getting higher and our team regularly prepares fruity ice cubes for our residents. Of course, these kind of treats are greatly appreciated!! 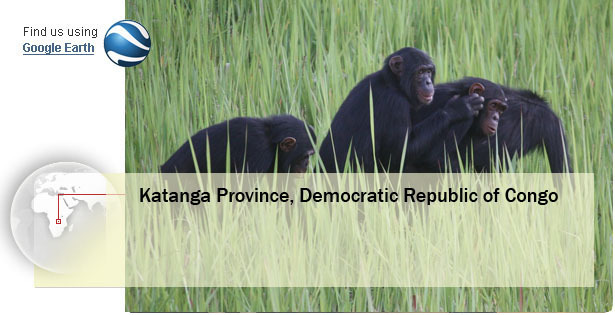 150 to 200 KILOS OF FOOD is what we have to provide daily to have healthy and happy chimps! Getting this quantity of food every day is a real challenge especially in a country where so many things are missing! Help us give THEM the best and make a donation as every little bit makes THE difference to all of THEM! Vida seems to still have great fun despite burst ball!! 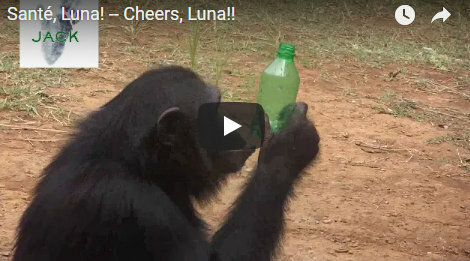 Recycled plastic bottles are great enrichment tools. We fill them with treats our residents love and, once the bottles are empty, the chimps love to put water in them to drink or to … play!